As a new adjunct lecturer, I found myself completely overwhelmed with the amount of prep and marking. I still do but have figured out a few ways to help lessen the constant inflow of essays. Interpretive Note-taking is my reworking of traditional annotation. 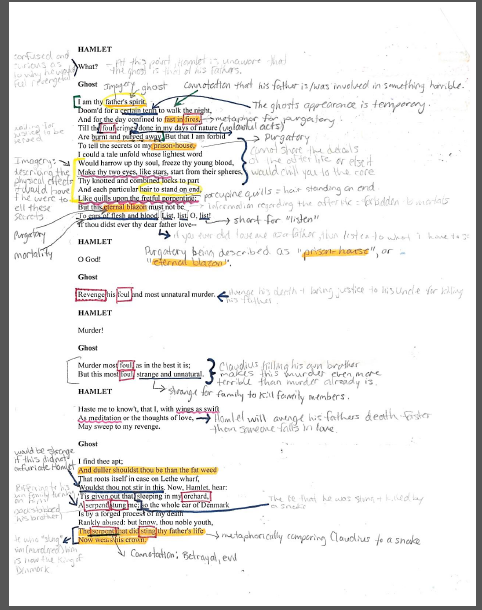 I ask my students to annotate the text using more than yellow highlighter! They need a legend to explain the various symbols used. They underline words they don't understand, acknowledge figures of speech, take note of repetition, create images that capture the written word, and more. 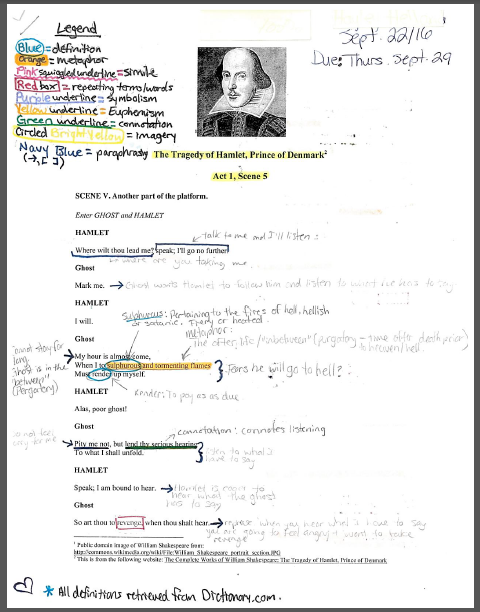 I created a INTERPRETIVE NOTE-TAKING rubric to offer suggestions and help guide their work. After the individual mark up is done I get them to work in groups to explain and explore their findings. 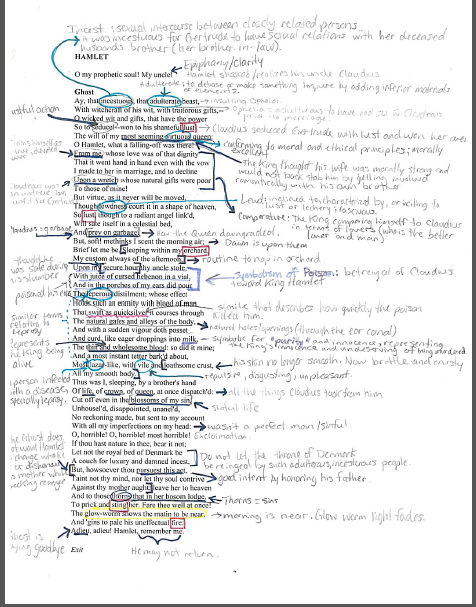 The marking of their annotation is fairly easy to do compared to marking an essay, for instance. I read several of the comments to get a sense of what their approach to the assignment is. I record their questions and spend a lecture answering the most frequent questions or questions that seem interesting and/or important. This semester I am having a tougher time concentrating (I seem to still be suffering from a concussion from a few months ago). This type of assignment is perfect because I can stop and go back to where I left off and do not need to start all over. The students work hard on this assignment - I think perhaps some of the appeal is that they too can stop and start over several days. Furthermore, I say they are being marked entirely on effort not whether they have figured out the answers to their own questions or the text itself. 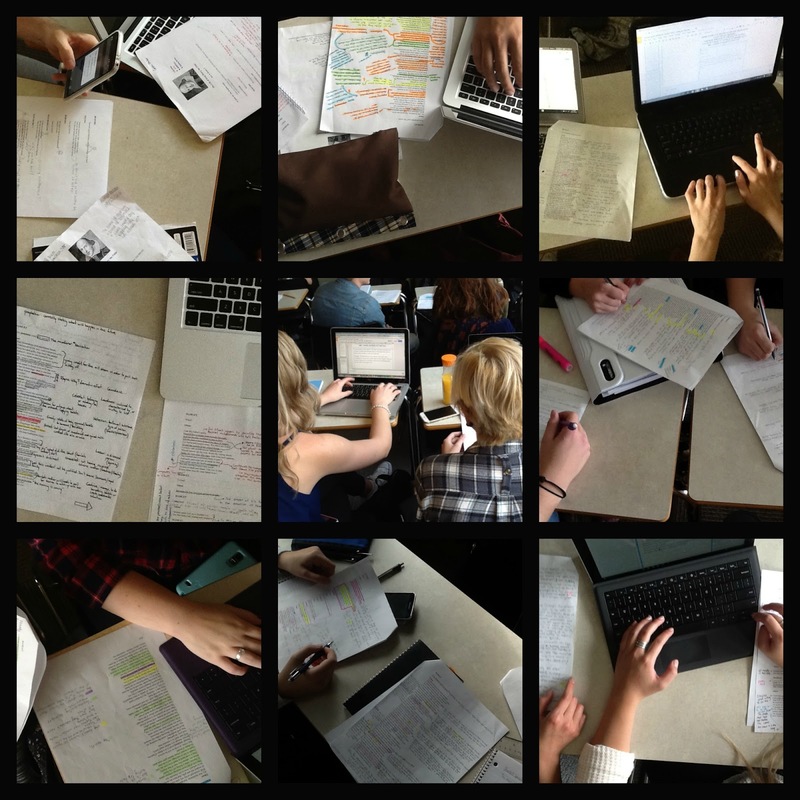 The images above are from my class when the students work in groups - this works very well and allows students to review their findings with their peers and gives them an opportunity to discuss the issues in-depth. Having worked at both the High School and College levels, I am sure this idea will work extremely well with your students too.